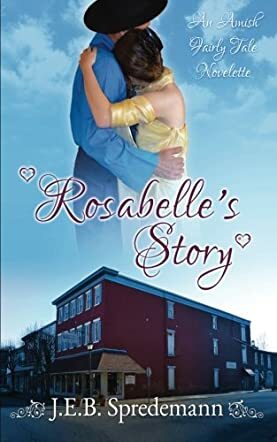 Rosabelle's Story by J.E.B. Spredemann is a short Amish Christian romance that tells the story of Amos and Rosabelle. They have been working together for years in her father's hardware store. While Rosabelle is on the verge of graduating high school, Amos is a young Amish man who feels he needs to get married. There aren't many eligible Amish women in his area and so he decides to settle for someone he doesn't love because the one he really cares for is forbidden as she isn't Amish. When something happens to cause Amos' plans to unravel, will he realize that God is at work in his life? Rosabelle's Story really reminded me of the classic fairy tale Beauty and the Beast, but with an Amish twist! Although it's a short story at seventy pages, don't let that fool you. Ms. Spredemann provides well developed characters and a plot with enough substance to make for a page turning read. I found myself connecting with the characters, and even though I pretty much knew how the ending would be, that didn't keep me from enjoying the story. Instead I think it made it better; my anticipation of wanting things to work out allowed me to sympathize with Amos while cheering on Rosabelle as she took matters into her own hands. Ms. Spredemann has a unique storytelling ability that makes me feel like I have actually stepped into the lives of the characters, experiencing their hopes and fears, as well as the tests that God sometimes put them through. The positive, faith based messages are very well done and fit in perfectly with the storyline. A good clean read that inspires as well as entertains. Ms. Spredemann is quickly becoming one of my favorite Amish fiction writers.